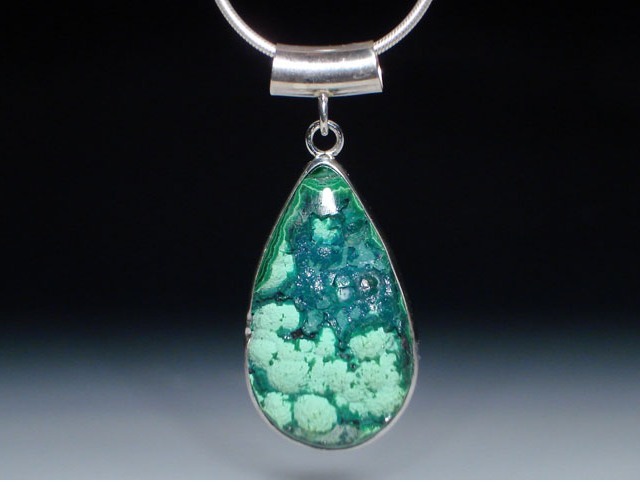 This is a really strange piece of chrysocolla with malachite. It's very textural and a little fragile, so it needs to be worn gently. It's very unique! The pendant comes with a 20" sterling snake chain.